​Devil May Cry 5 secret missions are found throughout the game. There are 12 of them hidden around the world. Here is how to find all of them. 1. Mission 2: Go in the hotel and walk over to the bed to activate the mission glyph. Kill all the enemies in the allotted time. 2. Mission 3: Jump to the bottom of the staircase, head to the sewer grate and look up. Keep the Red Empusa from escaping. 3. Mission 4: Destroy the wall with the mural and follow the path. Take the left fork on road and go through the demonic gates. Reach the top of the building to activate the mission, where you just collect all the red orbs. 4. Mission 5: Look for the poorly built wall when the giant demon is above you. Summon Nightmare and break that wall and enter the room to eventually find the mission. Kill all the enemies without being hit. 5. Mission 8: Go to the second lava fall at the end of the mission. Jump off on the right and use your grapple hooks to reach a hidden area. The challenge itself might be hard as it involves swinging on the grappling hooks. Stay patient and keep a rhythm going. 6. Mission 9: Walk up to the tendrils near the catacombs and let Nightmare do the rest. Collect the blur orb, activate the glyph, and you will have twenty seconds to kill three enemies. 7. Mission 10: In the room with two doors, kill all the enemies and charge through the right door and head up. Target the Death Scissor's weak point with a single bullet. 9. Mission 12: Open the hidden entrance beneath the statue. At the large steps, find the overhang and jump to it. Once again, kill all the enemies without taking damage.Try using the Cavaliere Motorcycle. 10. Mission 14: When you see Dante and Nero fighting in the distance, destroy the blood sac. Follow the path it creates, make a left and destroy another blood sac. You need to reach the blue orb without touching the ground. Pro tip: You can summon Nightmare and just hop on its back to beat the mission. 11. Mission 15: Make a right at the first upgrade statue and use the Punch Line and use the Rocket Surf ability to go up the incline. You will have 30 seconds to go through a platform section. 12. Mission 16: When you see the three pits, head to the second one and jump down to each platform while looking for an access point. Use the Dr. Faust firearm to rack up 900 red orbs from one regular Empusa. 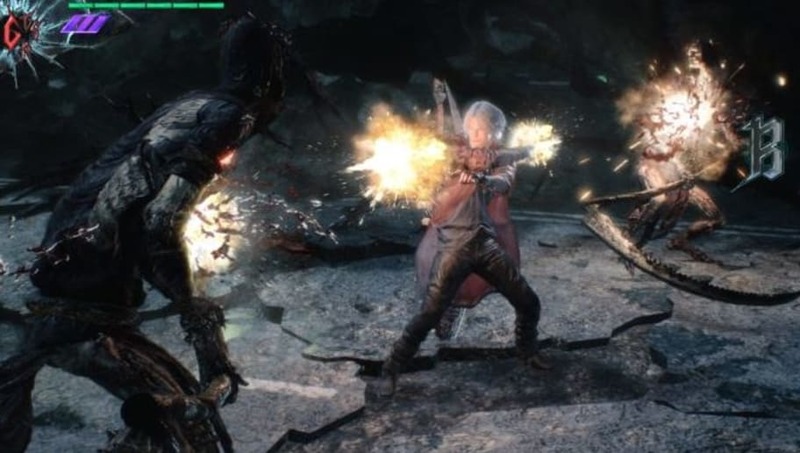 All of Devil May Cry 5's cutscenes have already been compiled. Make sure to try the game's multiplayer function as well.